In today’s episode – we are changing things up, Zuzana interviews me as we talk about why we have been more absent than usual with our site, as well as podcasts. With this podcast, I open up and become quite vulnerable. All in hopes that those of you reading this or listening understand that we are only humans, just like you. We do this as a passion, simply to share everything we know and continue to learn with all of you in hopes that somehow we can have some positive effect on your health, fitness, and/or overall wellbeing. 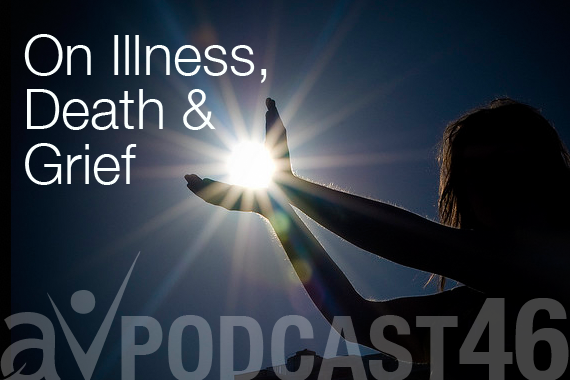 That said – I hope there is some light within this post/podcast that will help ease some pain or suffering that you may be experiencing, prepare you for it in the future, or allow you to help someone you know that may be going through something similar. Whatever it may be – the light from losing my Dad is my ability to take my pain, sorrow, hurt, anger everything that comes with it and use it as a tool to help others that are coping. I guess I have always tried to be more optimistic in most situations – but really, lets face it – how the heck do you do that when you are faced with the idea of losing a loved one!? 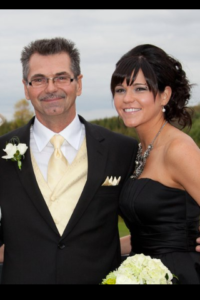 My Dad was diagnosed with Stage 4 Cancer in January 2015 – when I got the call I was devastated, I think I was living in this fairy tale world thinking nothing can ever happen to my parents. I really became numb with feelings – I didn’t know what to think, feel or do. Thats when unknowingly denial took over. In my mind my Dad was going to be okay … hmm, was that the “optimistic me” fooling myself. Was I too afraid to face the reality of it? It wasn’t until mid March when my father started to get weaker that it really started to hit me – the reality was sinking in, and deep. My heart was telling me that this is it, he is not strong enough to survive – yet my mind was still saying he’ll be okay. Until March 3oth when I went to visit my Dad and he was no longer coherent, I was lost. I was so unaware, and disconnected with myself that I didn’t know what I was feeling, other than extreme sadness and pain in my heart. I really felt and at times still feel this empty space and hurt. We sat with him and I held his hand as we spoke with the nurse, asking what we can do. None of us were ready to let him go. I will never forget that moment – I heard sirens in the background, it started hailing outside and the man I admired, and loved so much took his very last breath. My hope had diminished, until all of a sudden I removed my tear filled palms from my face to see the hail had stopped and the sun was out. From that day forward my life changed. I started to understand that there are just some things in life that we have no control over. However we do have control over our reactions to them. So I had a choice to make… follow that dark path (my mind) which would only lead me to more sorrow, pain and suffering – or choose the path (my heart) which would inspire me, motivate, and help me evolve and grow. I chose to follow my hearts path… I have used the tools (I knew before losing my Dad) such as Yoga to help me through this (as I still do today) allowing me to connect with him and continue on my journey with him still as a part of me. I have come to understand that although I may have lost him physically, that doesn’t mean I have lost him completely. That the more I connect with myself the more I not only see of him in me – but I am able to feel connected with him, and continue to learn from him. I am extremely grateful for all of the love and support I have had from friends and family through this process. Also for all of the teachings I have obtained through Yoga – both here in Vancouver (One Yoga For The People & Semperviva) and especially from Jeevmoksha Yoga in Rishikesh, India. Jeevmoksha captured my heart and truly showed me the meaning of Yoga. So much so that I have been traveling back every year for the past 3 years. I cannot think of a better place for anyone ready to take that journey within and truly find out what they are capable of.